We can have a stronger connection with trees than with plants and a dying tree can be alarming and sad while a dead flower can go unnoticed. Trees can come under assault from severe winds, extreme storms, insects that damage wood as well as old age and other physical damage and trauma. These can all cause problems for trees resulting in their often untimely death. 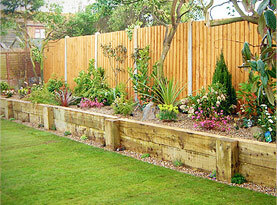 Even if a tree dies from an inadequate supply of water or nutrients, it’s still a good idea to have it removed. The most obvious sign that your tree is dying is a lack of leaves on part of the tree or all of it. Sick trees will also have bark that becomes brittle and starts to fall off along with a trunk that becomes spongy. 1. Dead trees can attract pests. Just because your tree is dead or in the process of dying doesn’t mean that wildlife and insects will leave it alone. A family of birds won’t cause any problems, but the rats and termites that will be attracted to it will. If these pests are in your trees, they might make their way into your home. 2. Dead trees are ugly. Dead trees aren’t nice to look at and spending more money on beautifying your lawn won’t do a thing for an ugly tree. 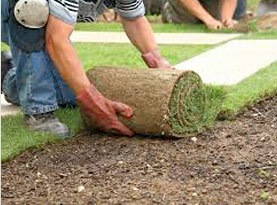 The curb appeal of your home will suffer with an ugly tree in the front yard. 3. The diseases that attack trees are contagious. Trees that are dying from a tree disease can affect other plants too. Branches and trunks of trees can develop powdery mildew and leaves can develop chlorosis. This will cause them to lose their lush green color and turn lime green or yellow and flowers that are planted below a tree that is dying or is dead are susceptible to these diseases also. 4. Branches can fall. When a tree dies, the branches become weak and can fall during a storm or a windy day. Sometimes they don’t even need a storm or wind to fall and can fall whenever and without any warning. 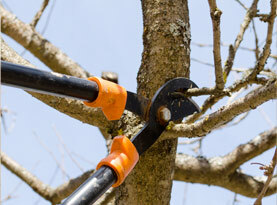 Small children or pets can even die from being hit by a branch. 5. Dead trees can fall over. The integrity of a tree becomes compromised with decay and decomposition. Trees that fall over can cause injury to family or people passing by along with property damage. 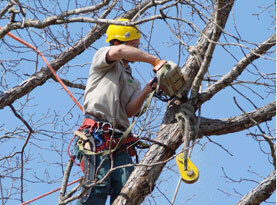 If you think your tree is dying, it’s a good idea to have a tree service company come take a look at it. If you can catch the problem earlier rather than later, the cost of removing it won’t be as high and you may be able to save it. Saving a tree is great when you think about the time it takes for a tree to mature. More decay will set in the longer you wait to remove it, so contact Bell Tree Service to determine whether or not your tree can be saved or if it needs to be removed.